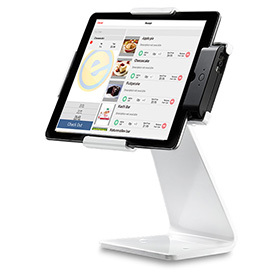 e-Nabler Corp., developer of the award-winning eMobilePOS® software, announced that the POS application is officially available for download from Google Play Store, providing merchants the choice of Apple iOS, Windows, and now Android. 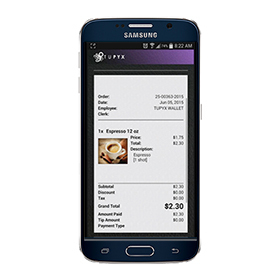 It transforms tablets and smartphones running Android 4.0.3 (Ice Cream Sandwich) up to 5.1 (Lollipop) into full-feature POS devices that handle everything from EMV-compatible chip and PIN payments to customer rewards and keeping track of inventory and sales. eMobilePOS is configurable for any sales environment such as retail, food and beverage, field service, and delivery.  Visit Google Play to download the app, and the eMobilePOS website for a complete list of certified Android devices and peripherals. 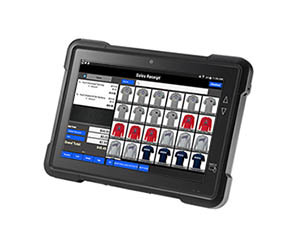 Matt Inan, director of business development and sales operation at e-Nabler was interviewed by Digital Transactions about the transition from traditional POS terminals to tablets and other mobile devices. 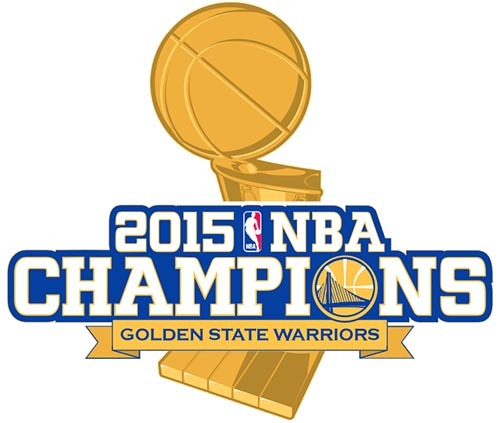 eMobilePOS congratulates Golden State Warrios to the the NBA championship title. Last night the Warriors defeated Cleveland and won its first championship in 40 years. The Warriors is using eMobilePOS with connection to Microsoft RMS for team merchandise sales. Credits go out to the eMobilePOS partner, POSitive Technology that have deployed the system at the the GS Warriors arena. 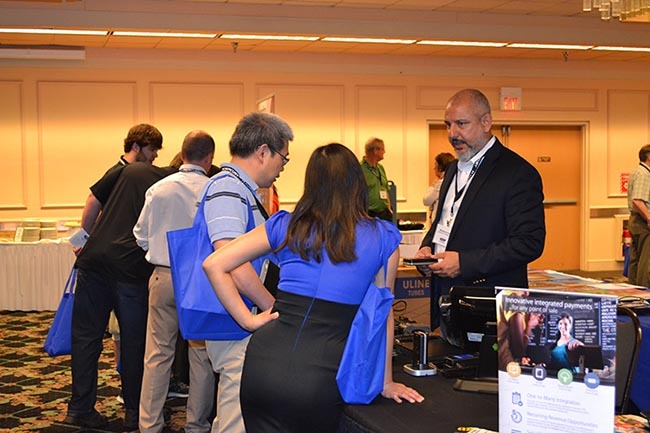 Last week eMobilePOS attended the CRS’ Profit Booster Conference in the Minneapolis-St Paul area, which was one of many stops along the CRS roadshow, showcasing solutions for the company’s regional resellers and connecting them with hardware and software vendors. 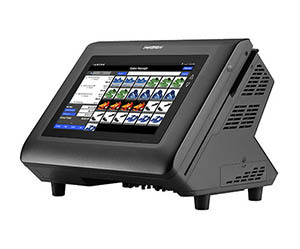 eMobilePOS was demonstrated on an all-in-one SAP 4800 POS system, running Android. The solution also included the Genius EMV payment terminal from Cayan. 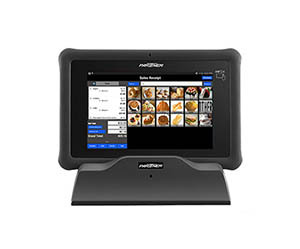 In addition, eMobilePOS was running on various mid-size tablets and handhelds with the option of integrated with EMV payments. Many VARs were impressed by the eMobilePOS solution. They appreciated the robust nature of the eMobilePOS as well the value proposition and low capex. 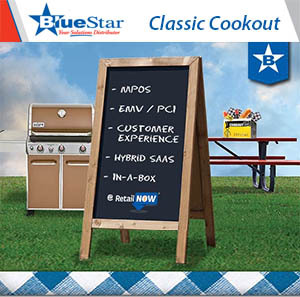 eMobilePOS with SAP 4800 is currently deployed in retail kiosks at various NASCAR tracks around the country. Matt Inan demonstrates eMobilePOS during the CRS Profit Booster Conference.